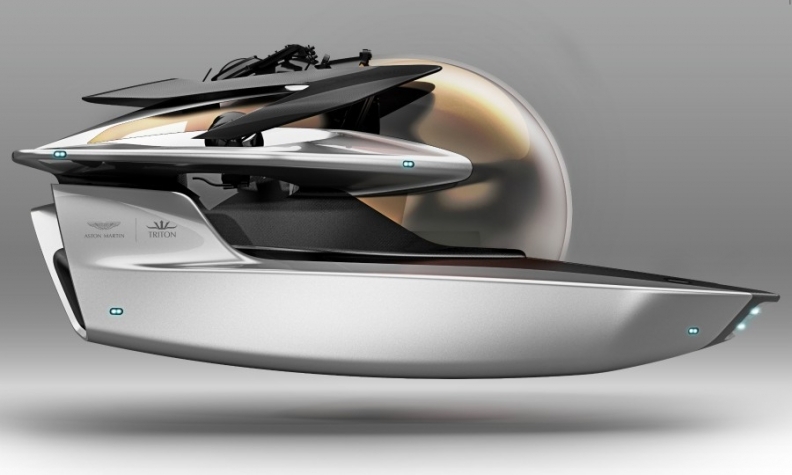 The Aston Martin submarine has space for three people and an acrylic bubble cabin to maximize underwater viewing. Aston Martin has unveiled its first submersible design at the Monaco yacht show, a limited-edition submarine that will cost $4 million. Dubbed Project Neptune, it's a three-person vehicle with silver, blade-like pontoons and an acrylic bubble of a cabin for maximizing underwater views. Aston Martin expects the submarine will be available in about a year and will be priced at about $4 million, the company's chief creative officer Marek Reichman said. By comparison, a V-8-powered DB11 will cost nearly $200,000. Reichman said the company plans to build no more than a dozen of the submarines per year. "If you think about Aston Martin, we are a very exclusive brand," he said. "In 100 years, we've only made 80,000 cars." 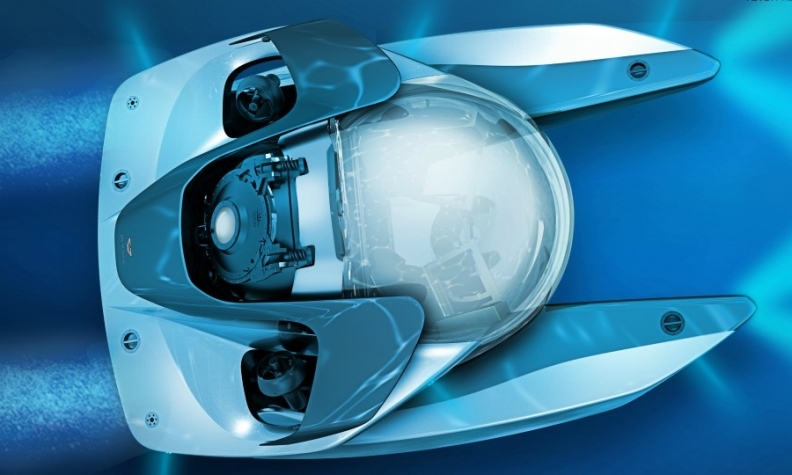 Neptune is a collaboration between Aston Martin Consulting, the company's design consulting arm, and Florida-based Triton Submarines, which has been making luxury submersibles for a little more than a decade. The model is based on Triton's Low Profile (LP) platform, specifically designed for superyachts. At just 1.8 meters (5.9 feet) tall and 3,991 kg (8,800 pounds), it's the lightest and smallest three-person submarine in production in the world, according to the company. It's capable of diving to 1,650 feet and has a speed of 3 knots, or 5.6 kph (3.5 mph). It is also air-conditioned. Aston Martin says it plans to build no more than a dozen of the submarines per year. Aston Martin has gradually been expanding into other luxury areas. Last year it unveiled the AM37, a 1,000-brake horsepower motorboat created with Quintessence Yachts and Mulder Design naval architects. It has also partnered with Miami-based G&G Business Developments on Aston Martin Residences, a 400-unit waterfront condo project in downtown Miami. Reichman said the company had done extensive research into what high-net-worth individuals were interested in purchasing other than cars. Unsurprisingly, many are into boating. "Those superyacht people, what they want to experience is changing," he said. "It's no longer about just having a launch or having your tender. It's about having some other way of entertaining your guests."